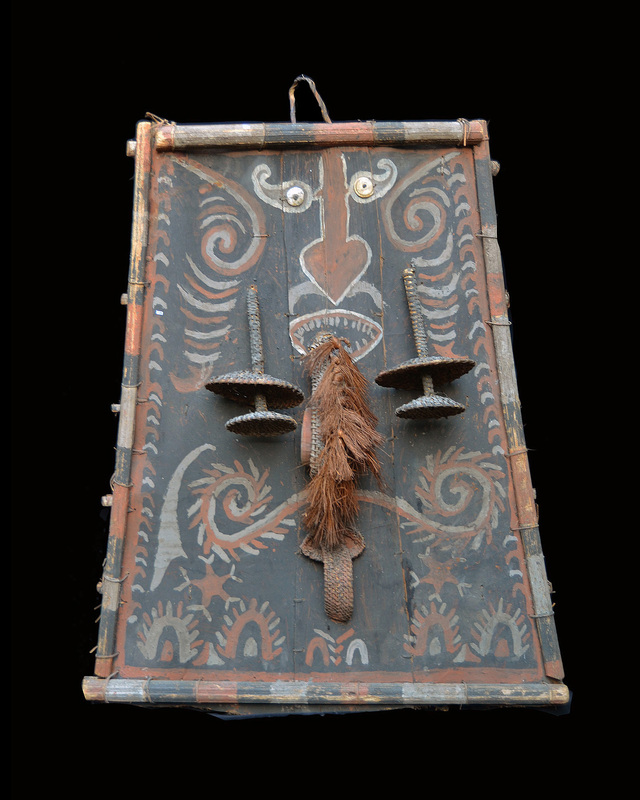 In the early 20th Century across the Sepik River area spectacular ceremonial houses were found in almost every village. They are known as ‘Haus tambaran’ in New Guinea pidgin English. These amazing ceremonial houses embody the paramount female ancestor whose enormous face appears on the gable and whose name is given to the house. Clans descending from a common ancestor build the ceremonial houses where ceremonial objects are stored. Only men who are initiated are permitted inside the house Tambaran. During ritual ceremonies, the house becomes ‘hot’, indicating the presence of spirits. Gable masks were placed high above the entrance of the ceremonial houses. Intended to be seen from a distance, their placement at the exterior apex of the large and imposing ceremonial house would loom downwards over the nearby dance ground where everyone could feel its presence. 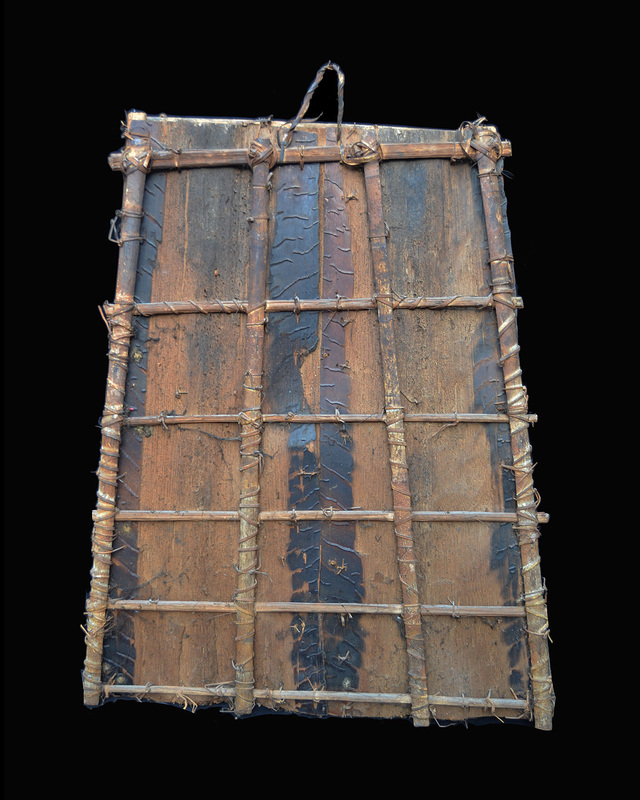 This beautiful Gable Mask is made from sago spathe over a bamboo frame & then painted & decorated with woven attachments. For all enquires, please contact us.